Our highly skilled and experienced lawyers are known for their personal approach and their commitment to building long-term, trusted relationships with our clients. We believe our lawyers’ focus on delivering excellent client service and providing customised legal solutions is what sets us apart from other firms. David is the Legal Practice Director for DSS Law. He holds Bachelor Degrees in both Law and Business and has over 17 years’ experience in the legal industry. David specialises in commercial litigation and property law including both retail and commercial leasing, as well as corporate structures and commercial matters. He uses his extensive expertise in these areas of law to provide high quality, commercially focused legal advice that is tailored to his clients’ individual needs. He is known for his personal approach and his ability to build trusted, long-term relationships with his clients. Ben has over 12 years' experience in the legal industry including as a founder and owner of a Melbourne based boutique legal practice. 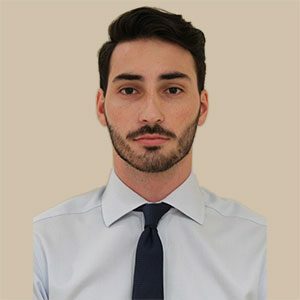 Before joining DSS Law, Ben previously worked at a top tier London firm and provided legal services in many other jurisdictions, including Singapore, Hong Kong and Brazil. Ben's expertise is primarily in Insolvency and Commercial Litigation. He also provides advice and representation to commercial clients and individuals in relation to high level transactional and commercial matters. Having commenced law at a young age, Ben uses his youthful approach to make his clients feel at ease within the legal system and always looks for the most straight forward, cost-effective solution to achieve the optimal outcome for his clients. Lee holds Bachelor degrees in both law and business. Prior to embarking on a legal career, she was a Communications Sailor in the Royal Australian Navy where she completed both active duty and peacekeeping deployments. With over 11 years’ experience in the law, Lee has achieved outstanding results for her clients by employing her uniquely pragmatic approach to complex legal problems. Lee specialises in institutional sexual abuse, workplace accidents, catastrophic injuries and motor vehicle claims. Renee holds a Bachelor of Laws degree and is admitted as a solicitor in the state of Queensland. With over 11 years’ experience, Renee specialises in property law with comprehensive experience in residential conveyancing, off-the-plan developments, and retail and commercial leasing. Renee’s drive to produce high quality work and her passion for customer service ensures all her clients feel confident they are in trusted hands and receive exceptional client value. David is an senior associate in DSS Law’s litigation team. He has eight years post admission experience practising predominantly in the areas of general commercial litigation, personal and corporate insolvency, corporate restructuring and property law. He is focused on providing practical advice aimed at reaching commercial resolutions of disputes by adopting a common sense approach to legal proceedings. His clientele include individuals, businesses from various industries, liquidators and trustees. Kaye is a Senior Associate based in our Melbourne office. She has over 18 years' experience in commercial litigation and is an Accredited Specialist in Commercial Litigation as awarded by the Law Institute of Victoria in 2010. Kaye has acted for a range of commercial clients from large multinational companies to SMEs and private clients. She has acted in all Federal and State Court jurisdictions within Australia. 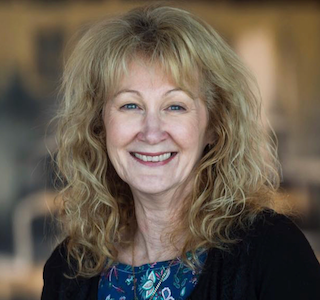 With a Bachelor of Commerce degree, Kaye’s legal advice is strengthened by her strong business acumen which allows her to assist her clients in achieving their commercial objectives as well as provide technical legal advice. She prides herself on her personal and tailored approach to both litigation and dispute resolution for her clients. 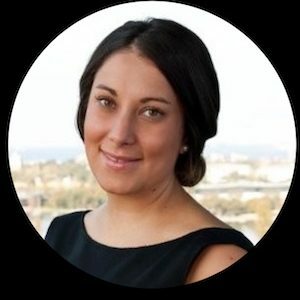 Amy is a Senior Associate in the Litigation and Insolvency team based in Melbourne. Amy has a broad litigation practice encompassing complex commercial and insolvency litigation. She advises liquidators, voluntary administrators, receivers and secured creditors as well as corporate and individual clients in both contentious and non-contentious matters. Amy is an accomplished advocate, having represented clients in numerous high profile matters. She regularly appears in all Victorian jurisdictions, in addition to appearing and/or instructing in New South Wales, Queensland, Western Australia and South Australia. She is committed to achieving her client’s commercial objectives while building trusting relationships. Teora is a Solicitor in our Brisbane office. She has several years’ experience in property and commercial law and is adept at advising clients on a wide range of matters including retail and commercial leasing, trade marks, business acquisitions and sales, business terms and conditions, commercial agreements and franchises. Teora has an easy going and relaxed manner and builds rapport easily with her clients. Joseph is a solicitor within the DSS Law Litigation team. He graduated from QUT with a Bachelor of Laws in 2017 and was admitted in February 2018. Joseph has experience in commercial matters from incorporation and restructure to administration and insolvency. He prides himself on his ability to communicate issues and advice clearly and succinctly. Joseph also works in criminal law and has represented clients in all Queensland Courts for charges varying between fraud, assault and drug charges. Bek is a lawyer in DSS Law’s national Litigation team and is based in the Melbourne office. He specialises exclusively in commercial litigation and alternative dispute resolution matters and is experienced in both minor and complex litigious matters, with a particular interest in contractual disputes as well as insolvency. He has acted for various clients in the insolvency sphere as well as directors and company officers in ASIC investigations. Bek joined the DSS Law team in 2018 and works closely with Partner, Ben Skinner. Together, they offer a commercially minded and ‘big picture’ approach to servicing their litigation clients, aiming to resolve disputes efficiently and in a cost effective manner. Matthias was admitted as a legal practitioner in October 2016 and works in DSS Law’s litigation team. He primarily deals with commercial and insolvency based matters and is well versed in civil litigation and debt recovery. Matthias likes to take a straight forward approach when dealing with clients to ensure that results are obtained in the most cost-effective manner possible. Robert is a Graduate Solicitor in our Melbourne office with experience in commercial matters, civil litigation and insolvency. Since joining DSS Law in July 2016, Robert has been able to quickly adapt to the DSS Law adage of ‘clients first’ ensuring he delivers excellent client service on every matter. He holds bachelor degrees in both Laws and Business from the Queensland University of Technology and hopes to be admitted to the Supreme Court of Victoria upon completion of his Practical Legal Training certification in late 2016. 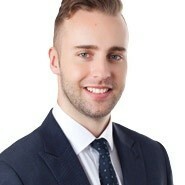 Jake is a Graduate Solicitor with a Bachelor of Laws Degree from the Queensland University of Technology. Jake has been employed with DSS Law since early 2015 and has assisted the firm in a range of different roles. Jake works in our property team, and provides assistance to the solicitors and conveyancers within the team, under their expert guidance. Jake prides himself on his attention to detail and plans to undertake his Practical Legal Training in 2018. Caitlin joined the DSS Law team in early 2018, and is currently a Graduate Solicitor in DSS Law’s Brisbane office. 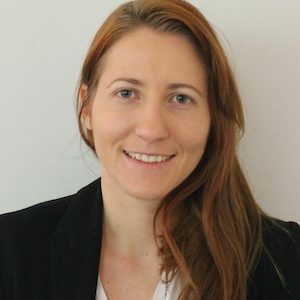 Caitlin holds a Bachelor of Business and Laws from Queensland University of Technology, and is based in DSS Law’s Property and Commercial team. She is currently undertaking Practical Legal Training in Queensland and will be admitted as a solicitor in December 2018. Alexandria holds a Bachelor of Law (Honours) from the Queensland University of Technology and is currently completing her Practical Legal Training for admission to the Supreme Court of Queensland in December 2018. Alexandria has a strong client relationship focus and has experience in a range of civil matters including conveyancing, insolvency and commercial litigation, wills and estates. Alexandria enjoys being highly reliable and approachable by everyone to achieve the most effective outcomes for all parties. Thomas is a Paralegal within the Litigation team at DSS Law and is currently studying a Bachelor of Law (Honours) and Business at QUT with an expectation to graduate in 2020. Prior to joining DSS Law, Thomas worked for a Community Legal Clinic as well as a boutique litigation firm in areas of civil and commercial litigation, where he gained a strong sense for practical and outcome-focused advocacy. At DSS Law, Thomas' assiduity and lateral thinking assist the Litigation team in complex matters as well as in the day-to-day management of files. Robyn is a Paralegal within the Property team at DSS Law. With an extensive background in Queensland and New South Wales conveyance matters, Robyn is able to provide guidance in all aspects of conveyancing in commercial and residential transactions of purchase and sale. Robyn has wide-ranging experience in paralegal, conveyancing and secretarial roles within family law, wills and estates, litigation and commercial law areas. With an integral focus on customer service, Robyn delivers an efficient conveyancing process for her clients’ personal and business transactions. Rosse is an experienced conveyancer and works on all aspects of conveyancing matters including residential, commercial and off-the-plan contracts. She commenced her career within the legal industry in 1980 and since that time has worked in various positions within the commercial sector. Her previous experience working with large financial institutions in their lending departments has given her a broad understanding of her clients’ conveyancing needs. Nicola is DSS Law’s in-house Financial Controller. She has a number of years’ experience working in finance, accounting and audit roles across a variety of industries including banking, federal government and the legal industry. Nicola has a Bachelor of Commerce degree and is currently working towards her CPA qualifications.